Professional Experience: For 12 years Mr. Thompson has served as Director of Dallas County Health and Human Services. He has more than 25 years of experience in managing state and federal grants. As the Director of Dallas County Health and Human Services, Mr. Thompson is responsible for running the day-to-day operations of more than 15 programs and 300+ employees who work to ensure that the 2.4 million residents of Dallas County remain safe and healthy. Mr. Thompson supervises the department’s 12 assistant directors and develops the department’s $125 million budget. Mr. Thompson also served as the Deputy Director for the Dallas County Department of Health and Human Services for a period of 8 years. Four (4) public health legislative bills have been passed with his active participation since his directorship began. Dallas County Health and Human Services received national accreditation through the Public Health Accreditation Board under Director Thompson’s leadership as well. Education: Associate Degree of Arts from El Centro College, Dallas, TX; Bachelor of Science in Social Work (BSW) from the University of Texas at Arlington, Arlington, TX; Master of Arts from Amber University, Garland, TX; and adjunct Professor at Eastfield Community College for more than 20 years. Other: Mr. Thompson served on the North Texas Behavioral Health Authority Board of Directors and as a member of the Site Based Decision Making Committee of the Martin L. King Jr. Learning Center. He also previously served as a member of the Texas Department of Health’s Council of Minority Health Affairs and on the Tuberculosis Funding Formula Development Committee. 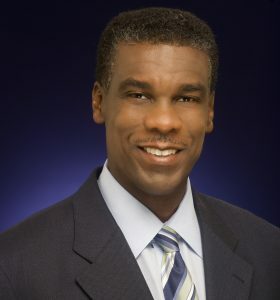 He was nominated for the 2008 Janet Emerson Public Health Servant Award and received the 2009 Interdenominational Ministerial Alliance Health Care Award. Mr. Thompson also served as Speaker at the Texas Association of Counties Annual Conference. He is the 2012 recipient of the Thomas Jefferson High School Distinguished Alumni award. Member of Phi Beta Sigma Fraternity, Inc. Mr. Thompson is very active with the Iota Mu Sigma graduate chapter of Phi Beta Sigma Fraternity and received the 2012 Phi Beta Sigma, Inc., Iota Mu Sigma Chapter President’s Award. He is the recipient of the 24th Annual Outstanding African-American Alumni Award from the University of Texas at Arlington (UTA) African-American Alumni Chapter. Mr. Thompson is also the recipient of the Big Heart for Health Award from Alpha Kappa Alpha Sorority, Inc.